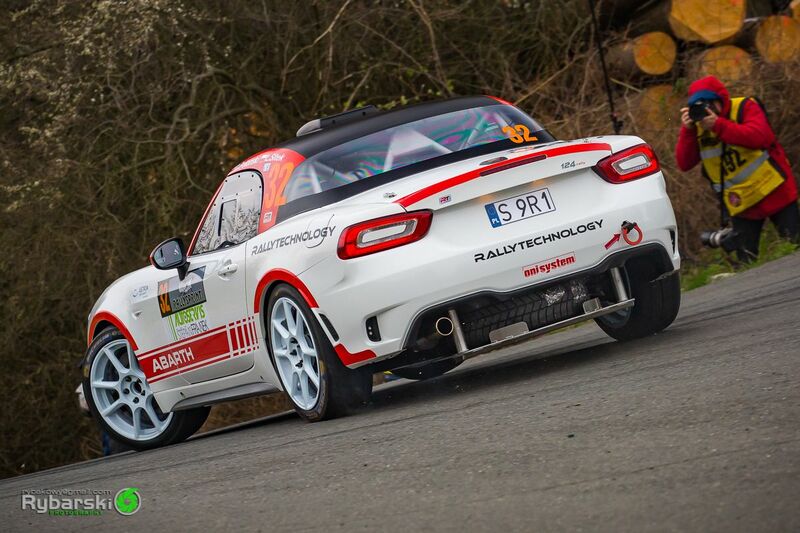 Dariusz Poloński and Łukasz Sitek successfully debuted after joining the RWD rally family. The 25. 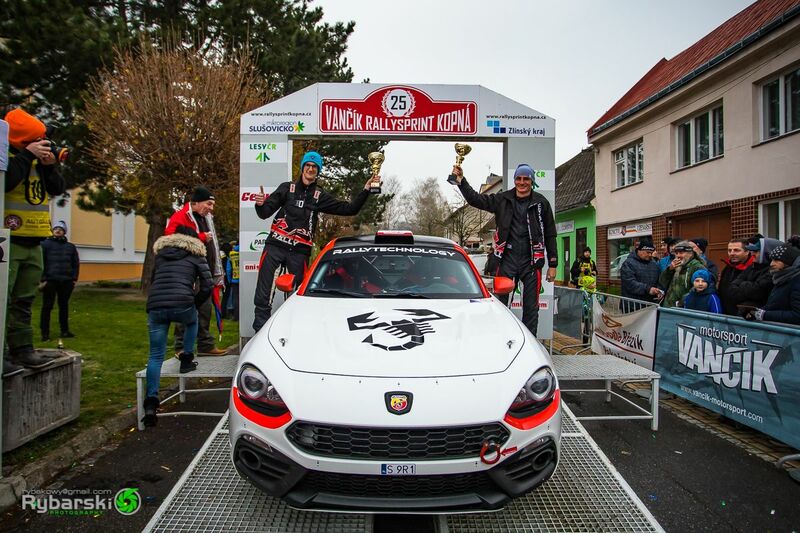 Vančík Rallysprint Kopná 2019, which ended yesterday was their first start in Abarth 124 Rally RGT. The Italian car was a great novelty in the stake dominated by front-driven or 4WD vehicles. In return for a warm cheering, the Polish crew provided the spectators with a spectacular ride. From the first attempt they also maintained a high and, most importantly, even pace, which was particularly difficult given the rainy weather and conditions on the route. The first loop is meant mainly for testing all the settings and how the car will behave in such demanding circumstances. After the two morning stages our crew was classified on the 24th place, but our service’s adjustments resulted in an instant improvement. In the second ride of the Zádveřice trial, the crew improved their time by almost 17 seconds. Before the second service zone they were promoted in the general classification by two positions. With every kilometer their performance improved and gave the crew more fun, which was reflected by the times they achieved. On Kameňák 2 they gained 16.5 seconds, and on the longest special stage of the rally -Kopná they were faster by more than 21 seconds. The result obtained in the final stage gave the crew a promotion to the top 20 in the general classification, which was also the best result among the crews of RWD cars. The team is therefore coming back from the Czech Republic with the first success of the new season. 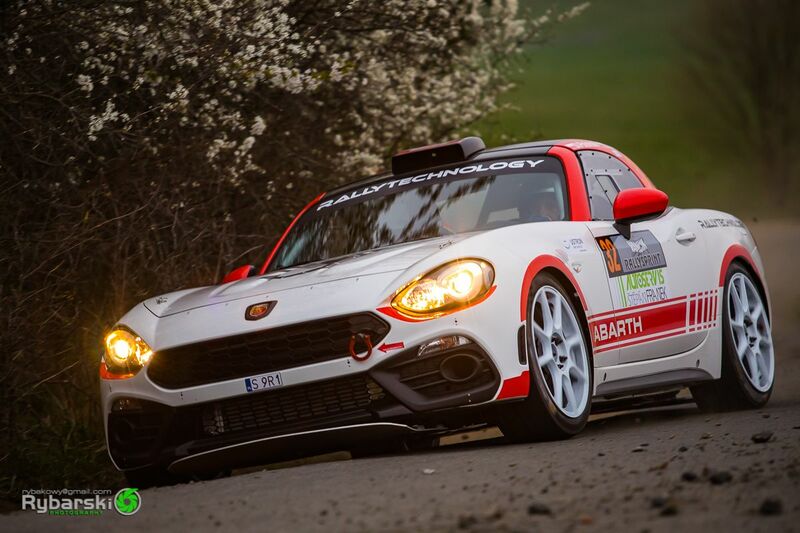 Robert Gabryszewski (Rallytechnology team manager): "Preparations to the races in the European Rally Championship have now entered the key phase and have already yielded the first valuable result. Kopna was a test start for us, and 70 km of special stages turned out to be a real testing ground. Very diverse technically, driven in the rain and heavily soiled routes provided us with a lot of priceless information. Congratulations to Darek and Łukasz for their successful performance in those conditions. While getting to know a new car, they were able to win at the same time, and that is a very good prognosis before the challenges to come. The next one is coming up already the first weekend of May, on the stages of the Canary Islands Rally, to which we invite you to today! Meanwhile, see you soon in Świdnica."